A suicide bomb instructor accidentally set off his own car bomb Monday at a training camp north of Baghdad, killing himself and 21 of his students. Whether or not a suicide bomber that blows themselves up without having any intended victims still gets the 72 virgins in the afterlife remains unclear. 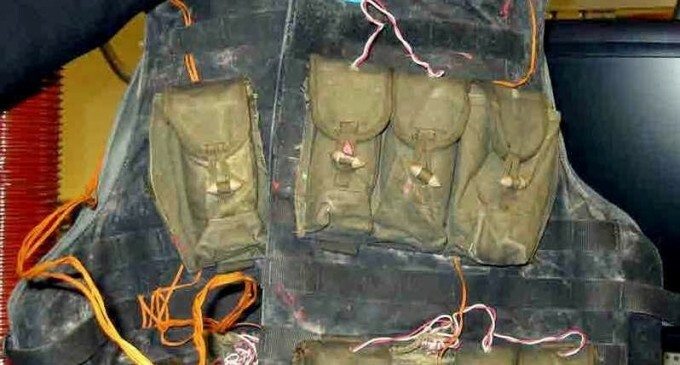 Authorities found seven car bombs — all without plates — several explosive belts and roadside bombs after searching two houses and a garage in the dense area, offering a rare glimpse into the workings of militants behind a resurgence in violence in the country. Bomb experts began working immediately to defuse the explosives. Security forces rushed to the area after hearing the explosion and arrested 22 men trying to flee the area, including several who had been wounded. Car bombs are among the deadliest weapons used by the Islamic State of Iraq and the Levant, an extremist Sunni group that recently broke with al-Qaida. The bombs are sometimes assembled in farm compounds where militants can gather without being spotted, or in mechanic shops in industrial areas. Police say the camp outside Samarra, 95 kilometers (60 miles) north of Baghdad, was in an orchard in the village of al-Jalam, a rural farming area that has been a stronghold of al-Qaida. Meanwhile, Iraq’s parliamentary speaker Osama al-Nujaifi, one of the most prominent Sunni officials in the country, escaped an assassination attempt in the northern city of Mosul. One bodyguard was wounded when a roadside bomb struck al-Nujaifi’s motorcade, according to police officials. Medical officials confirmed the casualties. All officials spoke anonymously because they were not authorized to speak to media. Violence has spiked in Iraq since April of last year, when security forces cracked down on a Sunni protest camp. Insurgents, who have been exploiting Sunni anger over perceived mistreatment by the Shiite-led government, are also emboldened by successes of their comrades in the war raging in the neighboring country of Syria. This happens more often than what the media reports.. I hope he was responsible for training a lot of bomb makers……22 blown up is just a start. Here’s hoping they all blow themselves up.